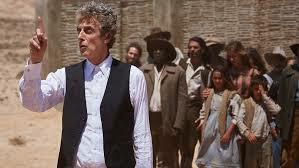 Peter Capaldi’s exit from the Dr Who Universe is, honestly, a weakish episode. 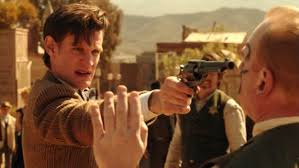 Twice Upon a Time, will be extremely confusing for the "uninitiated" BUT does have lovely resolutions for the conundrum involving the Captain and the extra twists for both the Captain and the Doctor’s regenerations. 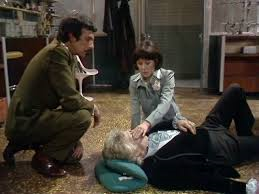 The first part of this blog is for those not familiar with Dr Who. The second contains SPOILERS for Twice Upon a Time. My husband, a friend and I all went to go see the latest Doctor Who Christmas special shown as a Fathom event at our local theater. The enthusiasm with which our friend accepted the invite led me to believe he was a fan. I sat and saved seats as my husband waited for our friend in the lobby. 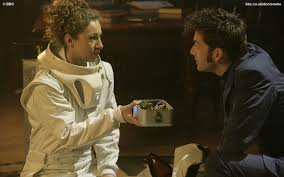 But as my husband sat down on one side of me and my friend on the other and the credits began to herald the beginning of the show, my husband leaned over and said our friend had never seen a Doctor Who episode before. Horrified I turned to our friend and was struck speechless with the idea of trying to condense 50 years of Doctor Who into two or three sentences. To make matters worse it was not a standalone show as some are, but was a complex story heavily dependent upon knowledge of the background history. 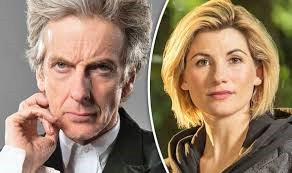 The premise of Twice Upon a Time is that Peter Capaldi, 12th doctor, on the verge of regenerating to the 13th, meets himself just before his FIRST regeneration. 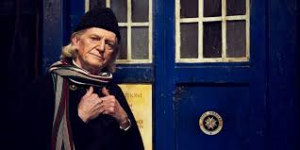 The original doctor was played by William Hartnell who passed away long ago and is currently played by David Bradley (who was most famously known as the castle caretaker Filtch in the Harry Potter series). 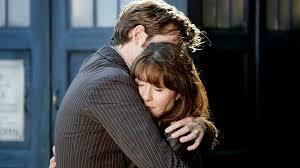 In the process of coming to terms with their own version of mortality, the Doctors are both reluctant to regenerate. 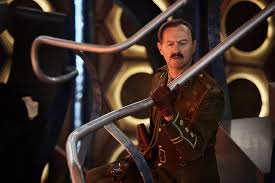 This hesitation causes a temporal fracture and time to freeze in place resulting in a very puzzled British Captain (Mark Gatiss) being thrown out of his own time line just as he is about to be killed in a confrontation with a German during World War I. 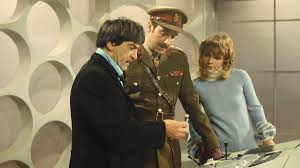 The three, the two versions of The Doctor and the beleaguered Captain, end up stranded together in a – literally – frozen landscape. 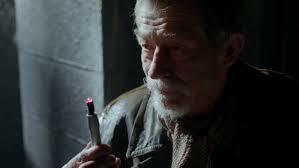 Both Doctors must find the resolve to move on as well as face the reality of having to return a very likeable and honorable human to his moment of death. 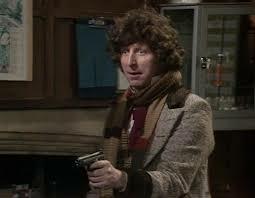 It occurred to me that not everyone is familiar with Dr Who. Amazing but true. So I offer a dozen points to get you started. 1. There are two distinct versions of Doctor Who: the original and the reboot. 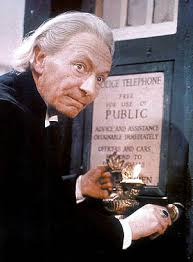 The original Doctor Who started life in 1963 as the British version of Mr. Wizard, but who travels time and space to explore and teach. The special effects were cheesier than the original Star Trek. Dr Who was rebooted in 2005 with a bigger budget, better effects, more natural acting and a less self-conscious sense of humor. 2. When the original Doctor Who, William Hartnell, started having trouble remembering his lines due to age and illness, someone came up with the most brilliant marketing device since product placement. 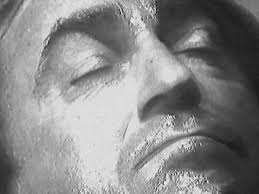 When an actor can’t or doesn’t want to continue they have Dr Who become mortally ill or injured and instead of dying, regenerate into an entirely different body. Same memories but different personality. This periodically reboots and updates the entire show. 3. A WARNING: Unlike the original show the reboot occasionally gets Captain Planet on you, advocating a certain environmental activism or even occasionally includes lifestyles of some of its side characters completely inappropriate to a show which was originally targeted to a younger audience. 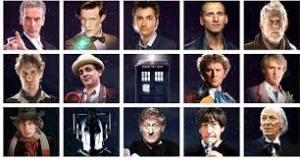 Time Lord – the name of the species of which the Doctor is a member. 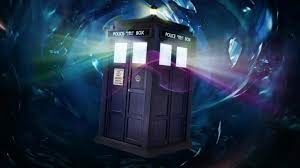 TARDIS – Time and Relative Dimension in Space. 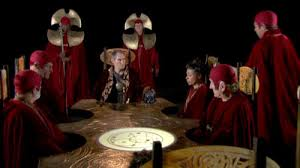 It is essentially a sentient time and space ship which can move to any time – past, present, or future- and any place in space and sometimes even outside of the universe. It masquerades as a blue British 1960s telephone box and is both the Doctor’s vehicle and companion. 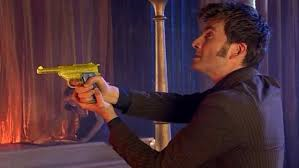 Sonic screwdriver – it’s a gizmo which sometimes acts as a "Deus ex Machina" to get him out of trouble – opening unopenable doors, emitting high shrieks which deter monsters, deactivating bombs, etc. 5. 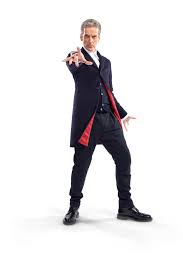 The doctor is a kind of combination Superman, MacGyver (the government agent who could make any needed device while on assignment out of the most mundane items) and Bill Nye the Science Guy – only Doctor Who needs gizmos to have the abilities that Superman was born with. 6. 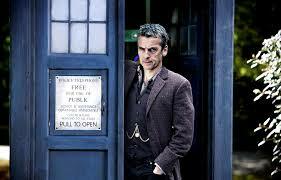 Dr Who travels the universe landing in places of crisis to fix whatever is wrong. 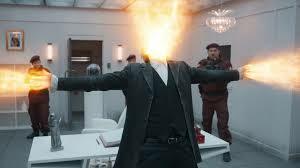 This is likely why he is often referred to as The Doctor. He does his best to heal people, situations and places. While he's not always successful he is brave, kind, resolute, occasionally condescending, often snarky, generous, willing to self sacrifice unto death for even strangers, and always always clever. 7. 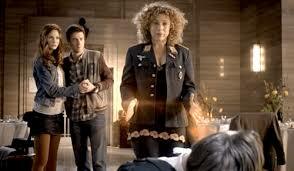 Each of the doctors has a token expression and/or dress item. 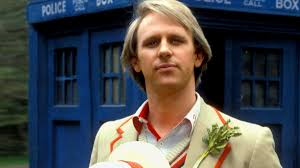 For example Peter Davison’s Dr Who inexplicably liked to wear a stalk of celery on his jacket lapel. 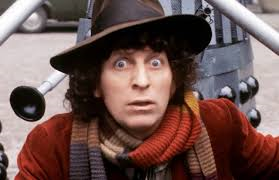 Tom Baker was known for his big floppy hat and scarf. 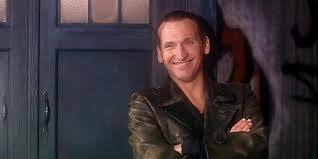 Christopher Eccleston, the first of the reboot doctors, wore a leather jacket and liked to say "fantastic". 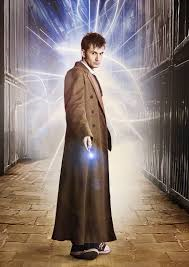 David Tennant wore a duster and was fond of the expression allons-y. 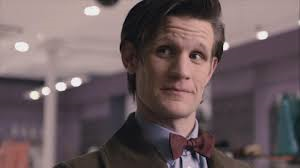 Matt Smith’s Doctor thought bow ties were "cool" and exclaimed Geronimo frequently. Peter Capaldi experimented with an electric guitar, dressed like an old fashioned magician and frequently made fun of his own bushy eyebrows. 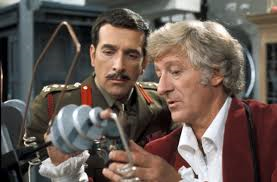 Brigadier Lethbridge Stewart (Nicholas Courtney) – the only military man Doctor Who ever fully respected, called a friend, or would salute. 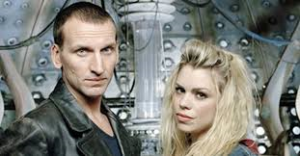 Rose Tyler (Billie Piper) was the favorite companion of the reboot. 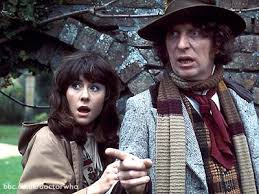 Sarah Jane Smith (Elisabeth Slaydon) was the favorite companion of the original series. The actress as well as the character made an appearance for one last show in the reboot during Tennant’s tenure not long before she passed away of cancer. 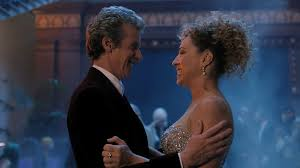 River Song (Alex Kingston) was Dr Who’s wife, his intimate and lived backwards – he met her at the end of her life and she met him chronologically near the end of her own. A bit confusing but when you consider they are BOTH time travelers……. 10. He travels through time and space to right wrongs, help people, mend broken things, resolve disputes, save lives, and solve puzzles. It’s tough to tell if he navigates the TARDIS and lucks into problems along the way or if the TARDIS guides him to where she thinks he will do the most good. 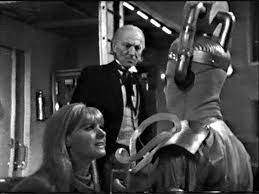 While I very much liked the resolution for the Captain and the twist in the end revealing of whom he was the grandfather, the build up had holes. 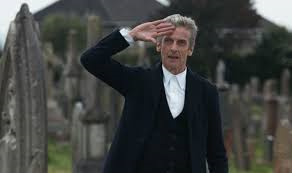 For one thing, if Bill is to return as one of the last people to whom this Dr Who says goodbye, the only reason I can think would entitle her to this special place of honor is that she was one of the companions who died in his service. 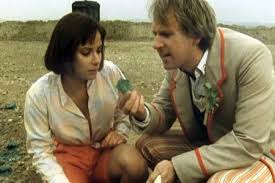 However, so did Clara – who they also brought back in a very quick cameo – and both Ponds, and, to be fair, so is Adric from Peter Davison’s 5th doctor, and so was River Song – in my book the best companion – the only companion who was the Doctor’s equal, not to mention his wife. 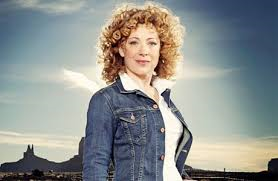 I sorely missed seeing River in this show, especially given Capaldi was shown in The Husbands of River Song, to be the last version she knew. The template for the glass woman was poorly chosen. She looked so much like Bill that I thought that was going to be the big reveal – that somehow Bill was now living in the future. 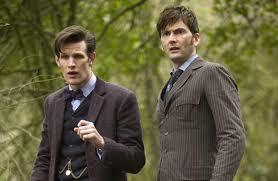 When they united Tennant, and Smith’s Dr Whos with John Hurt’s in The Day of the Doctor as The War Doctor they all had good chemistry – riffing off of each others eccentricities with the chronologically "younger" Hurt being the more mature and showing up the child-like mannerisms of the other two. The three were funny and worked well together. 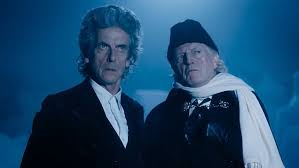 In this recent Twice Upon a Time, while I thought David Bradley did a remarkably good job of bringing William Hartnell’s first Dr Who to life, when he and Capaldi were on screen together it was as though they were on two different sound stages. There was no chemistry between them. The spoke around, about and at each other, but never really to each other. There was no humor and no real conversation. We never get to find out what either thinks of the other. Not a flaw with the actors but, I think, with the script. 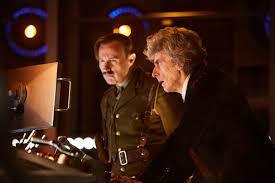 This all being said, "mediocre" Dr Who is much like "mediocre" Star Trek, or "so-so" fudge. 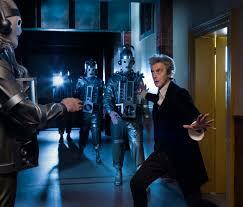 It’s better than no Dr Who at all and often far better than much of what passed for "good" stuff elsewhere. The only other major qualm I had about this episode was the apparently obligatory insistence on shoe horning in a reference to the lifestyle Bill leads which is totally inappropriate for what at its heart was intended to be a child’s show. 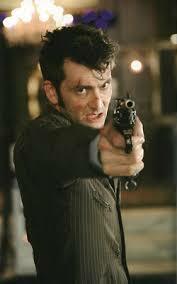 If you want to watch Dr Who by all means. But I would recommend you start with the Christopher Eccleston reboot in 2005 and work your way through in order. FYI – Tennant is my favorite but Smith has some brilliant ones. 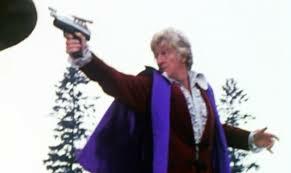 Twice Upon a Time requires some knowledge of Dr Who or much of what is shown will be lost on you. So until the next Fathom special Dr Who event – it was FANTASTIC! GERONIMO! and ALLONS-Y!